This recipe quickly became a family favorite of our about 15 years ago. We were invited to dinner at the home of Karen and Donnie Roush. They were good friends and neighbors of ours when we lived in the country. I just had to have this recipe so I could make it for our family. I've brought it to many dinners and cookouts since. Everybody always wants the recipe. She also published it in the St. Anthony's parish cookbook that we gifted to many family members in 2004. There are many recipes that we enjoy in that special cookbook. I will make and share many of them for you as well. 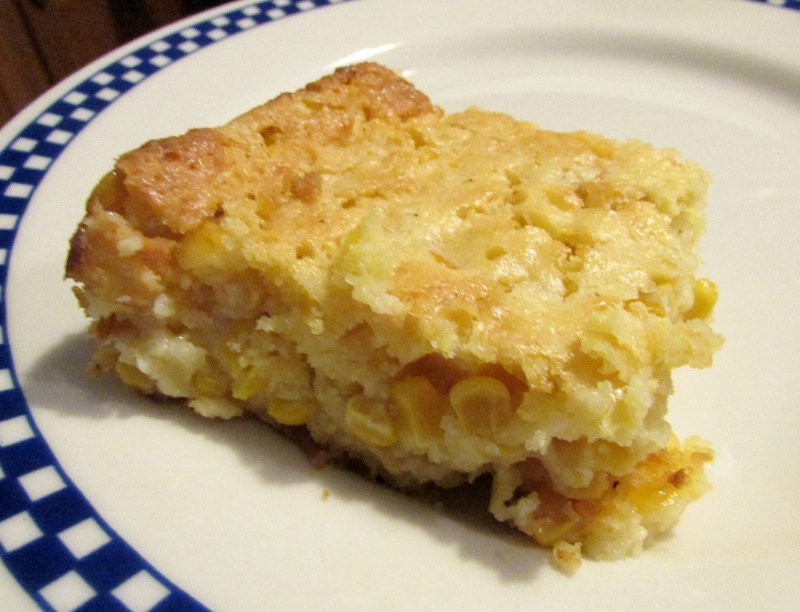 The corn casserole was a great side dish with the corn flake crumb chicken, but would also be great with ham or pulled pork and ribs! Melt butter and mix all ingredients together. I have 6 boxes of the Jiffy corn muffin mix in my cabinet right now and had no idea what to do with them. I've pretty much worn the kids out on the 'regular' way to fix it - definitely going to try this as they all love corn!!!! Thanks! This would be a great way to use them! It is really tasty. Oh my goodness, it is really good! Thanks for hosting. I made this and it's fantastic! Hooray! We always love it when we have it!